Cover detail from 'Somewhere Between Intuition and Reason' by Claire Beynon, Dunedin, NZ. This collection establishes Maxine Alterio as a "rising star" (Iain Sharp, Sunday Star-Times). The twenty stories in this collection range from a renowned violinist coming home for a bittersweet wedding; to a woman with a Lotto ticket who saves the day on an aeroplane bound for disaster; to a neglected wife whose husband ‘comes out’; to a wealthy filmmaker who longs for a baby; to a tutu clad stalker on a unicycle who blurs the line between fantasy and reality; to an elderly woman who finds a bizarre way to beat her fear of flying; through to a woman who takes a sweet revenge and another who performs one last dance. Edgy, but compassionate, these stories show a keen insight into human foibles as Maxine Alterio describes the peccadilloes of her often quirky, always memorable characters. Suffused with wit, gentle irony and the intrigues of love and loss this is a lively, well crafted collection from an accomplished storyteller. Maxine Alterio’s collection … consists of tightly crafted tales of stifled dreams, sensual power, loss and letting go. The sustained notes of mild irony flash so incisively you can almost hear the breath whistle through your teeth. Light on the surface with little razor-nicks to let the darkness out. Mark Peters, Dominion Post, NZ, 5 February, 2005. If you like stories that are complex and contemporary, then Alterio is your woman. All her stories, many broadcast on Radio New Zealand, have that authentic sense of what real people do. Alterio is a witty and accomplished storyteller well worth seeking out for a deeply satisfying read. Jenny Argante, Bay of Plenty Times, NZ, 30 April, 2005. Maxine Alterio gives the reader a clear picture of a confident, accomplished writer of considerable verve and range. Her stories can be tragic, wistful, quirky, profound. Humour, as sly as it comes, filters through too. Alterio’s stories happily encompass different age groups and social strata, without losing any feeling of authenticity. Sheridan Keith, Sunday Star-Times, NZ, 7 August, 2005. All Alterio’s stories display an intimate knowledge of human character, of our fears, hurts, our fantasies and our ultimate mortality. Alterio’s skill as a writer drew me into every story in the collection. After the first few paragraphs of each [story] I was hooked. Cheryl Norrie, NZ Writers’ Ezine, 10 June, 2005. Vivid and real, sometimes grim but always compassionate, these stories show great insight into human nature. Some have a touch of Roald Dahl. A great book to slip in your bag as a travelling companion. Rosie Sanderson, Northern Advocate, NZ, 23 February, 2005. Books of short stories of this quality are such a rare treat. If this book was a box of chocolates it would be rich Belgian truffles. Sophie Fern, Otago Daily Times Weekend, 2-3 April, 2005. Lake Child Runner-up in the 2003 Takahe Short Story Competition, NZ. The Durability of Stories Runner-up in the 2002 TWN Alphasmart 3000 Short Essay Competition, UK. Otherwise Unmarked First Prize in the 2000 Writers/Franklin (NZ) eBook Short Story Competition, NZ. Street Talk Runner-up in the 2001 Takahe Short Story Competition, NZ. Big Blue and the Potato War First Prize (£1,000.00) in the 1998 Real Writers Short Story Competition, UK. Lake Child Highly commended in the 2003 Sunday Star-Times Short Story Competition, NZ. 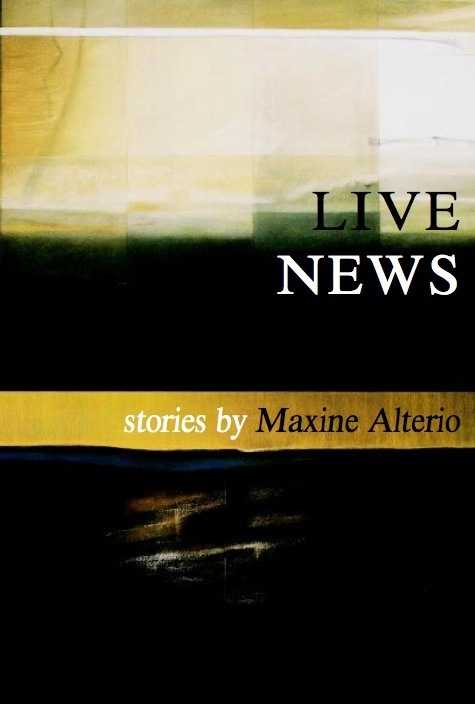 Live News Finalist in the 2001 Real Writers/The Book Place Short Story Awards, UK. Moments Like These Highly commended in the 2000 Prose & Poetry Prizes, UK. Certain Ways Shortlisted for the 1999 Fish Publishing Short Story Prize, Ireland. Seconds Shortlisted for the 1999 Ian St James Short Story Award, UK. Stories Bodies Tell Best New Zealand Fiction Volume 3, 2006, Random House, NZ. Smoking Mirror Myth of the 21st Century, 2006, Reed Publishing Ltd, NZ. No R's Please Home: new short short stories by New Zealand writers, 2005, Random House, NZ. Big Blue and the Potato War Real Writers Prize Winners’ Anthology, 1999, UK. The Christmas Chicken Penguin 25 New Fiction, Penguin Books, 1998, NZ. Legs from Heaven Listener, 2003, Volume 189, Number 3295, NZ. Dead Air Listener, 2003, Volume 188, Number 3283, NZ. Retirement Funds Quality Women’s Fiction, 2003, Issue 41, UK. Performance Artists Listener, 2002, Volume 182, Number 3222, NZ. Moments Like These The New Writer, 2001, Issue 51, UK. Treats Quality Women’s Fiction, 2000, Issue 33, UK. Air Points Takahe, 1996, Issue 25, NZ.